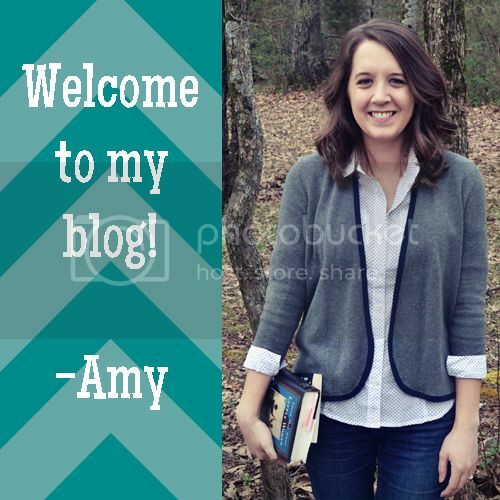 Top Ten Tuesday topic is a meme hosted by The Broke and the Bookish. Today’s topic is a freebie! When this idea popped into my mind, I was worried I had already done a topic like this one once, but the closest I found was My Top 10 Most Memorable Secondary Characters, which I wrote in 2013 and was a list comprised primarily of secondary characters from The Hunger Games. 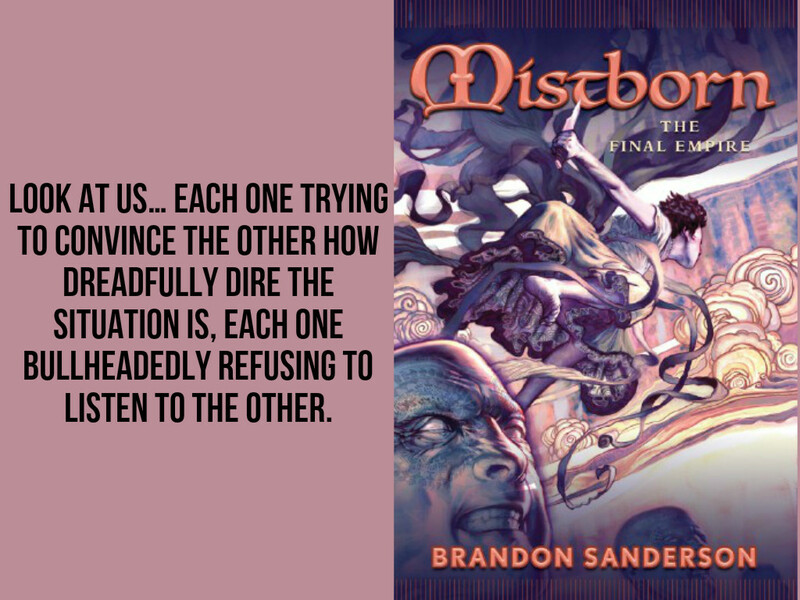 Since then I have read a lot of great books with interesting characters and feel I could create a more varied list, PLUS, make the focus be about the story they could tell. This week’s list is in no particular order. Marissa Meyer gifted us all with a short story about Thorne (that I still have not read! ), but seriously, all Thorne fans know only a novel would suffice our desire for more Thorne. Sturmhond is basically the same person as Thorne, and again, we all want more. I would love to know what happens to him after the Grisha trilogy, but I would also love to know more about his life before! I love Kiggs, and I would like to know how he grew up and what made him the way he is. OK, so I’ve only read book one, and I imagine there’s more of him in the next two books, but I would love to know the details of his royal upbringing, his antics growing up, and what got him started reading those forbidden books. 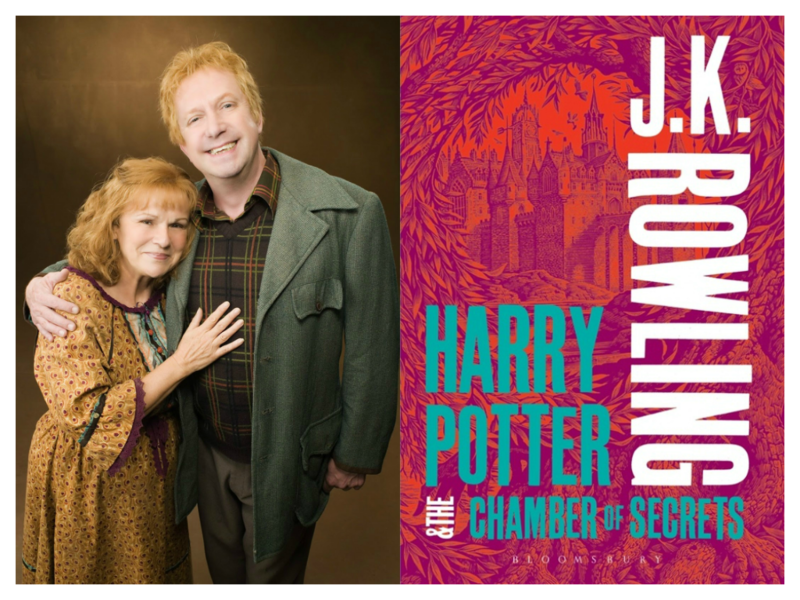 Again, I haven’t finished all these books either, but I just love Mr. and Mrs. Weasley and I’d love to know their backstory. Did they meet and fall in love at Hogwarts? How did Mr. Weasley end up at the Ministry of Magic? Did they always want a large family? 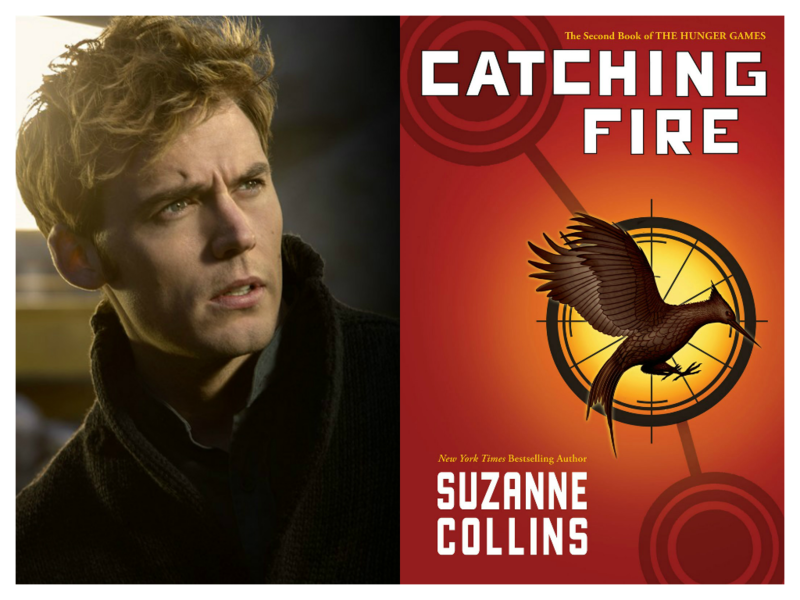 Of course, this list would not be complete without someone from The Hunger Games, and like many fans, I’d love details on Finnick’s backstory! I find the whole thing about Gemma being from an aristocratic family and a malfetto, but not condemned like Enzo, really interesting within the world of The Young Elites, and I want more of her story! I know this ship has sailed, at least for Jane Austen’s perspective, but I would love to know more about Harriet’s life after she married Robert Martin. I was a little surprised when, while watching Emma Approved, I became way more excited about Emma and B-Mart hooking up at the end than Emma and Knightley! It was just really cute! (Those paper cranes!) 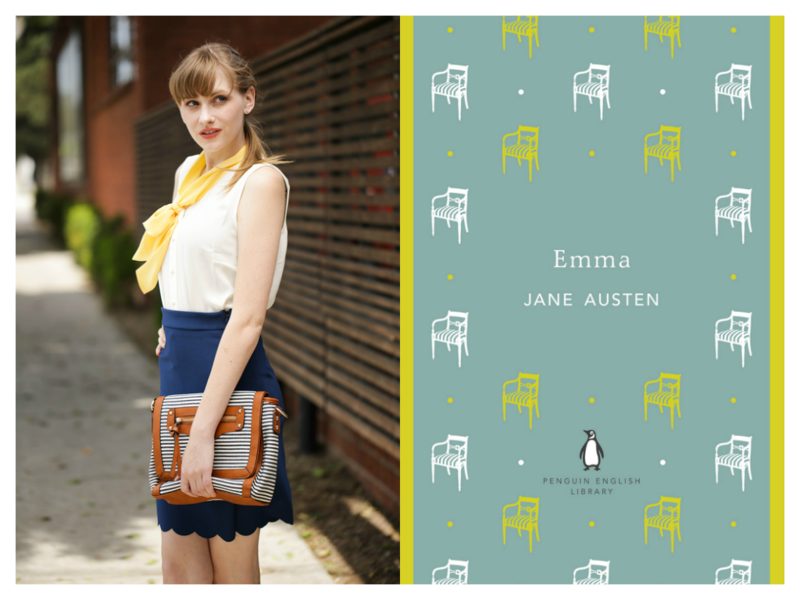 But when I read Emma, I also found myself really endeared to Harriet there. More please! 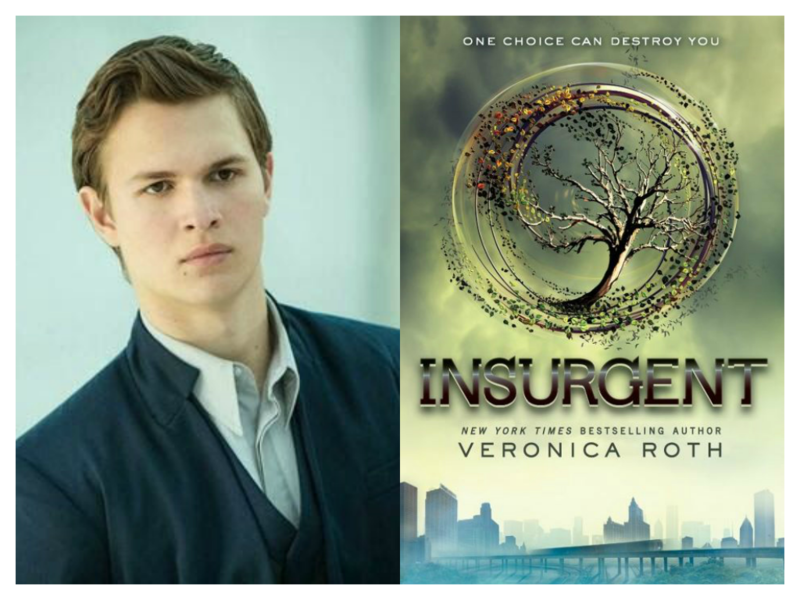 I have some unanswered questions about Caleb, and I honestly found him so much more interesting and complex than Tris or Four. I need more! 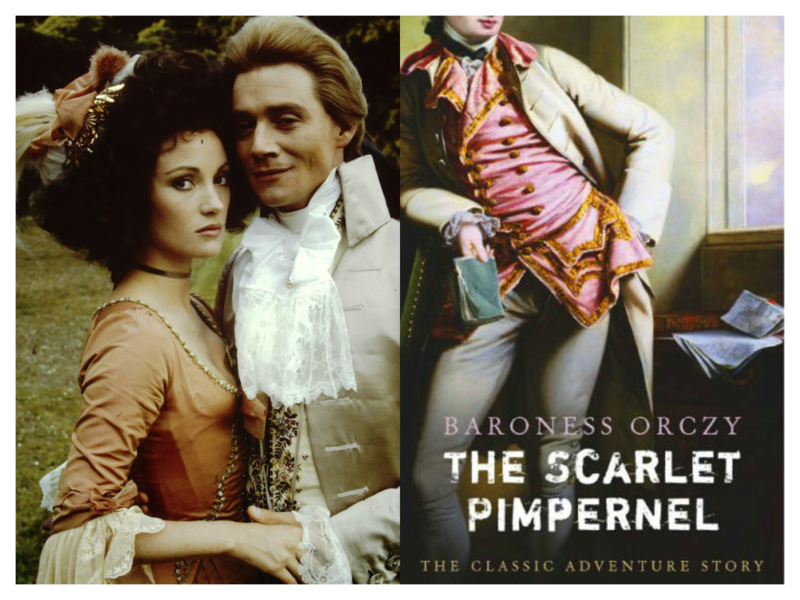 I know there are more of these books so there might be more about Marguerite, but I found her really interesting when I read The Scarlet Pimpernel, and my favorite chapter in the book is when she’s at home discovering who her husband actually is. I was surprised to see this list was mostly guys! But I guess that’s because most of these books focus on a female character. In YA it’s a little more rare to get the guy’s POV, but sometimes I wish I could read their story too! Which secondary characters would you like to see get their own story? 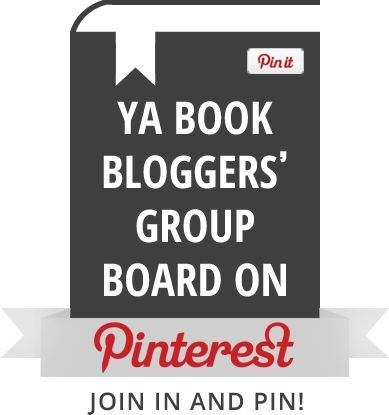 This entry was posted in Books, Top 10 and tagged books, classics, secondary characters, top 10, YA. Bookmark the permalink. Okay I love this list. I agree with every one of these. I won’t even go into specifics or else you’ll get a novel instead of a comment. I have no problem with novel comments, though I understand not wanting to write one, ha ha! YES. WANT. Especially #1 and #2! Could you imagine the pure sass in those books? It would be glorious. Every sassy, sarcastic and flirty character deserves their own book, so give me more Sturmhond and Thorne 😀 I would love to have more background stories from different Harry Potter characters. They are all so fascinating and I’d love to learn more about them. Ha ha, yes, bring on the sassy characters! Yeah, I think you’re right about that. 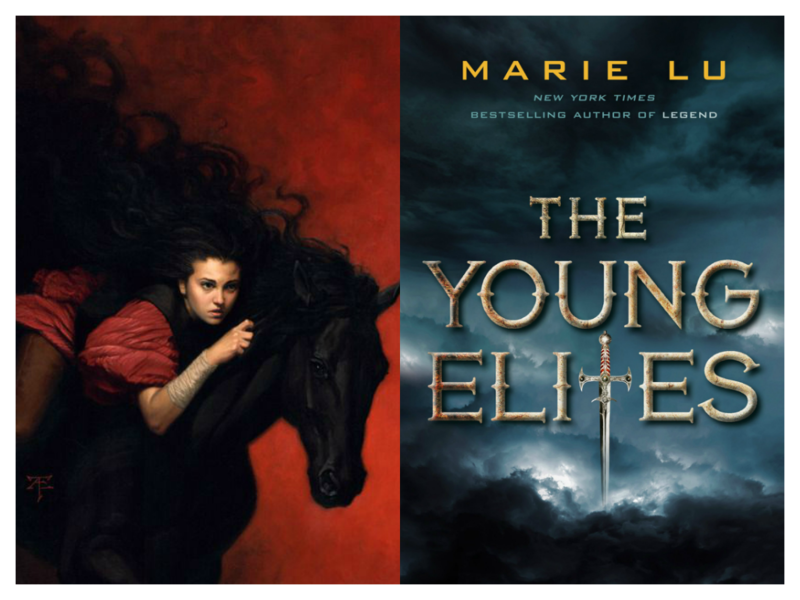 Maybe if we beg Marissa Meyer she’ll write a Thorne novel one day? We can dream, right? Oh my goodness! Yes yes yes to all of these, especially Strumhond! STURMHOND DEFINITELY NEEDS HIS OWN STORY. Finnick — probably one of the most tragic characters in THG. Even more so than Katniss. Even though a bit of his past was revealed in the series, I don't think it's enough either, and I'd love to read more about him pre-Hunger Games era. 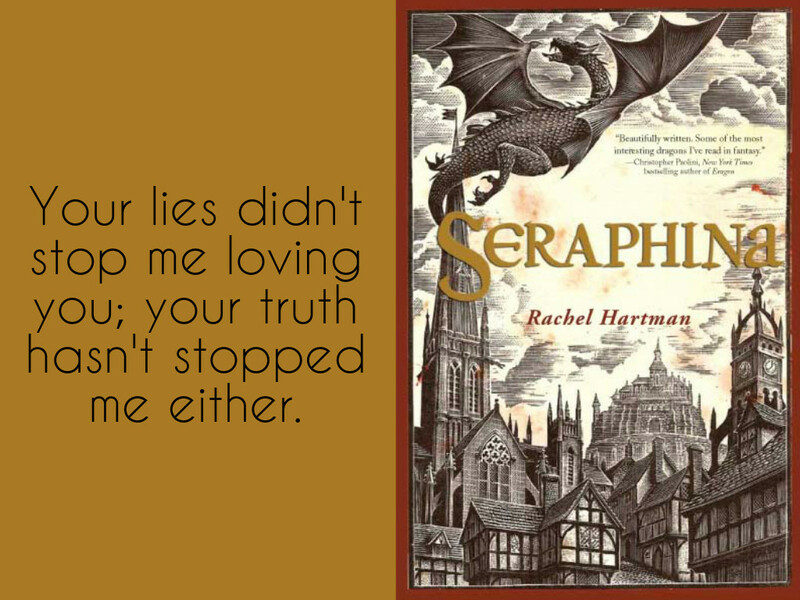 OMG yes, you definitely need to read Scarlet and Cress soon! You’ll love Thorne! I’m reading Goblet of Fire and I haven’t come across any explanation for Arthur’s love for Muggles yet, but that would be interesting to know as well! I saw the art of Carswell and I just knew I had to read this post!! I just got to read the short story a few days ago (I can forward it to you if you need it) and it was lovely. It was *so* Thorne and it really gives you insight into why he is the way he is, which I’m pretty sure is the definition of backstory. I think it takes place when he was in middle school, which is cute — and he’s already quite the ladies man, haha. I do have it; I got in an email newsletter Meyer sends out and copy and pasted it onto a Word document, I’m just terrible about reading short stories on my computer for some reason! So glad to know it was just as cute as you expected! Strumhond! Yes. But that’s kind of a given for anyone who has read these books. If Thorne is like him, I may need to read Cress just for that. Sometimes I think a story about a secondary character would remove some of the mystery about them and make them – like ordinary or something. Like Jack Woodcutter in the Woodcutter Sisters series. I TOTALLY want to know about Jack but am not sure I want him to have his own story. 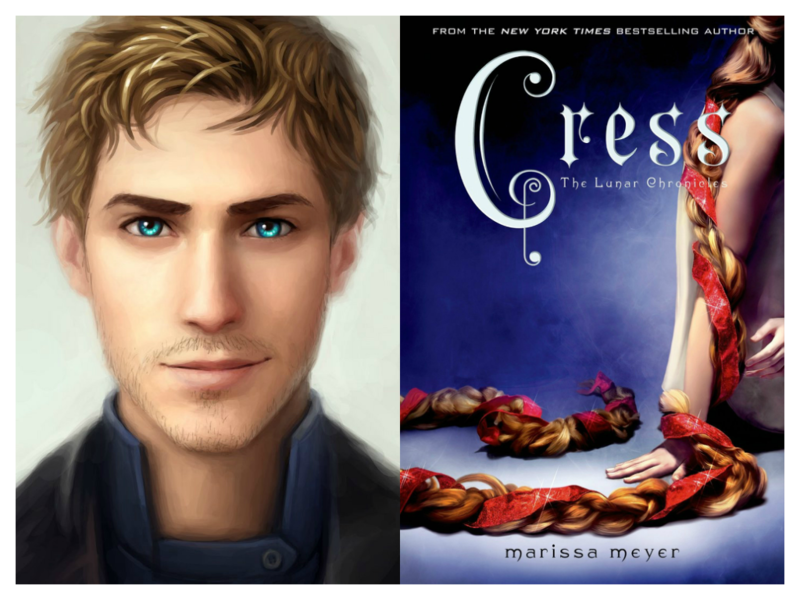 Cress is amazing, you need to read it! And you’ll love Thorne! I do agree that getting to know secondary characters would take out some of the fun/mystery, but there’s still part of me who wants those stories anyway! Thorne! Sturmhond! Love them both! I totally agree! They’re awesome; who doesn’t love them?! THORNE AND STURMHOND. 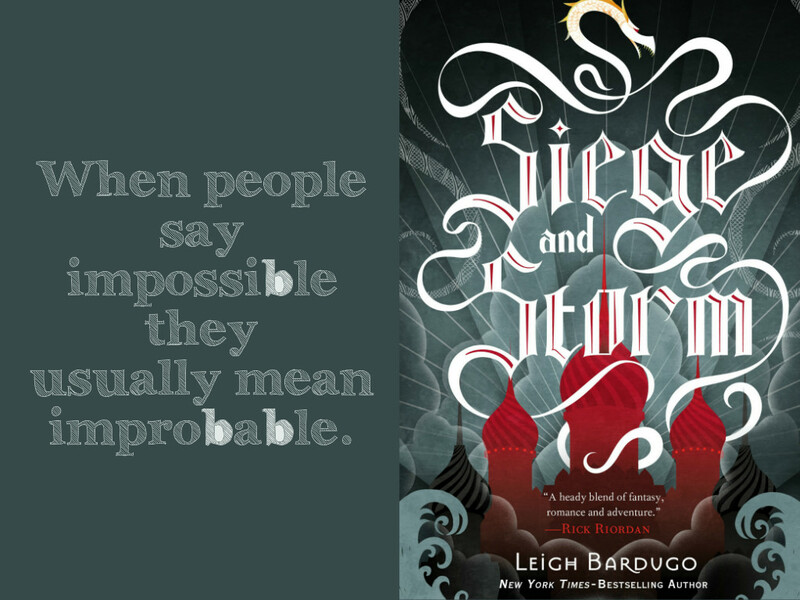 Uh, Leigh has got to stop teasing about writing a book from Nikolai’s perspective and just go write it already, I’m dying for it.